Former Movement for Democratic Change treasurer Roy Bennett died with a big secret. 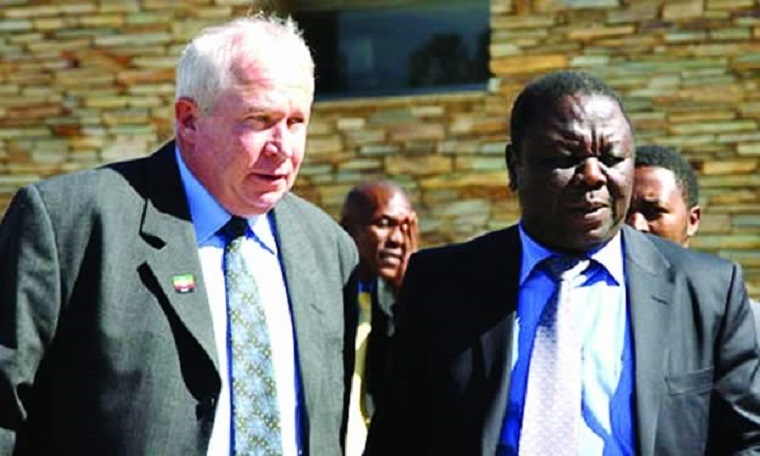 It is now almost impossible to tell whether the two non-profitable organisations that he registered in the United States in 2011 to raise funds for the MDC received any funding for the party or not. His American partners are not keen to talk. Current MDC treasurer Theresa Makoni says when she took over after the party split in 2014, the MDC-T only had $53 in its account. It appears Bennett had a free reign because party leader Morgan Tsvangirai’s spokesman Luke Tamborinyoka said Tsvangirai was not aware of the two organisations that Bennett registered. According to documents obtained by The Insider under the Freedom of Information Act, Roy Bennett registered two charitable organisations in the United States on 26 July 2011. These were the Global Alliance for Zimbabwe and the Global Alliance for Zimbabwe Foundation. According to the organisation’s website, which has since been disbanded, the Global Alliance for Zimbabwe was “a worldwide effort to ensure non-violent, fair, and free elections in Zimbabwe”. The website said: “The people of Zimbabwe overwhelmingly voted for a new democratic government in 2008. Robert Mugabe and the ZANU-PF refused to relinquish power and atrocities have continued. New elections are scheduled for 2012. Without international pressure, the will of the people could once again be ignored. It added: "Zimbabwe is a proud nation with much to offer the world — food, minerals, arts, music, industry and leadership. Unfortunately, Mugabe and ZANU-PF’s grip on the people of Zimbabwe will not be easily unlocked…"
The two organisations were launched with a lot of fanfare with even a video featuring Grace Kwinje but the elections were not held in 2012 as predicted. They were held a year later. The MDC ran a poorly funded election campaign in 2013. It was so much unlike the 2008 elections where the party roared with its Morgan is More campaign which even included a bus.